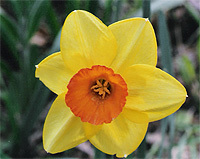 Sunny Fields blog for the latest information on special events and other topics. Your comments are welcome! We are a private Botanical Park encouraging horticultural and environmental education, open by appointment. Located in Emmett Township within Michigan's beautiful Thumb area, you will find over 1,400 different kinds of plants in our tranquil and unique surroundings—both rare exotic and native specimens. Sunny Fields is a favorite destination for professionals and amateurs alike, and offers a unique opportunity for gardeners, photographers, artists, nature lovers, scientists, teachers, hikers, birders, scouts, 4-H club members, and especially school and church groups. Our plant and flower collections include more than 850 different kinds of woody plant specimens. 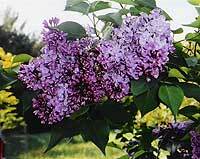 We specialize in collecting and displaying lilacs, ornamental crabapples, narcissi (including daffodils), evergreens, and daylilies. Our crabapple collection ranks as the region’s most diverse assortment, and the lilac collection is the most diverse in Michigan—offering six weeks of blooms annually. Please take a few moments to visit our website. Explore the colorful landscape within our boundaries. Learn about our informative guided tours during the Spring, Summer, and Fall seasons, and find out how you can play a part in its preservation and growth. We thank you for your interest and support, and we look forward to greeting you often at beautiful Sunny Fields Botanical Park. Discover the beauty of Sunny Fields!